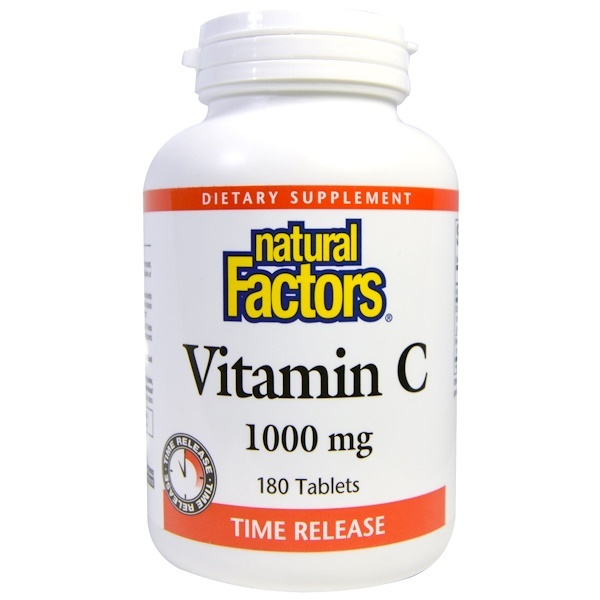 Vitamin C 1000 mg Time Release with citrus bioflavonoids is designed to gradually release nutrients over an eight-hour period. 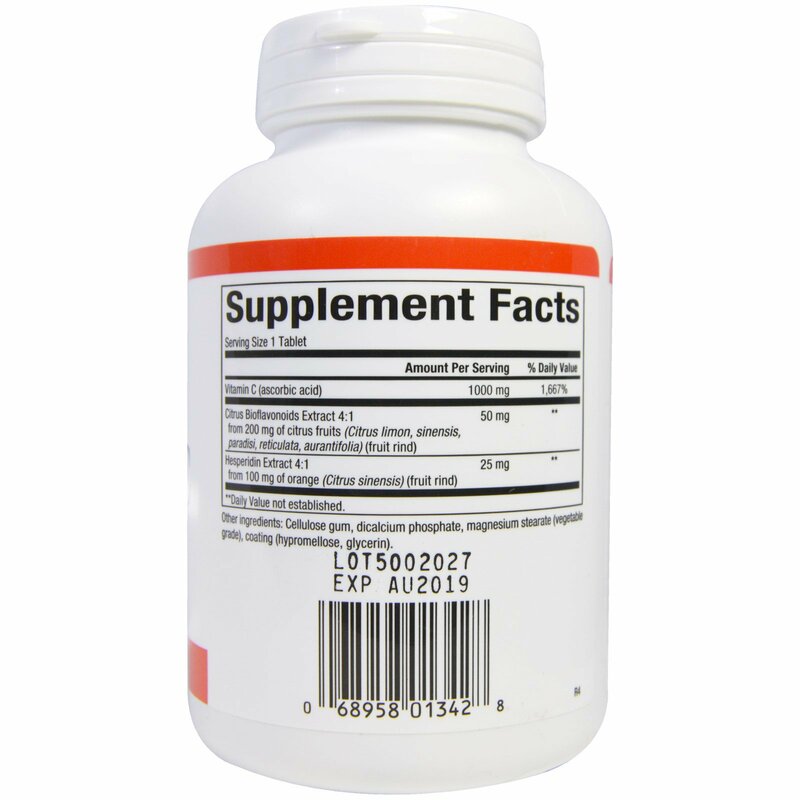 Bioflavonoids enhance the absorption and act in synergy with vitamin C to provide antioxidant protection, keep collagen healthy and help increase capillary strength. Vitamin C is a powerful antioxidant which supports healthy bones, cartilage, teeth, and gums. It helps protect cells against the free radical damage and vitamin C deficiencies in the daily diet, and supports healthy cell growth. Manufactured by Natural Factors to ensure safety and potency in accordance with Good Manufacturing Practices (GMP) of the FDA and Healthy Canada. Cellulose gum, dicalcium phosphate, magnesium stearate (vegetable grade), coating (hypromellose, glycerin). Contains no artificial colors, preservatives, or sweeteners; no dairy, starch, sugar, wheat, gluten, yeast, soy, egg, fish, shellfish, animal products, salt, tree nuts, or GMOs.